Christmas lights are twinkling around town, snow is falling, we’re going to see Little Women performed at the local theater and, best of all, Sam is home from college and our family is together for winter break! It’s a happy time and I’m delighted to be here in the valley for this festive season. It’s also time for seasonal treats! Isaac’s girlfriend made incredible homemade eggnog for us and let me just say, it’s the best eggnog ever and I’m never going back to the carton stuff (I may have snuck spoonfuls of fresh cream off the top when no one was looking, too). More indulgences that somehow make their way into my shopping basket during this time of year are peppermint bark and peppermint stick ice cream. I really can’t resist. 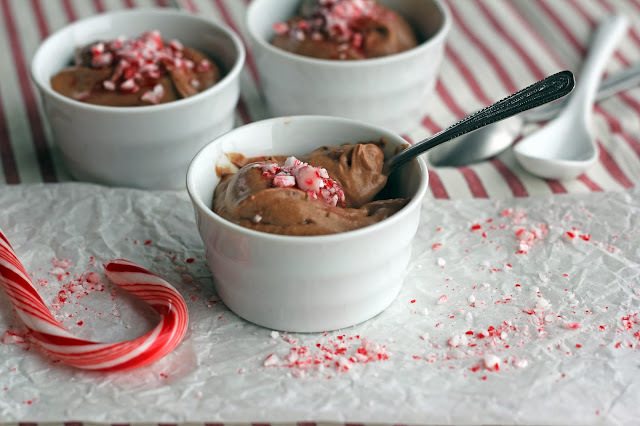 Peppermint stick and chocolate are a classic combination no matter the season. When I was little my favorite ice cream cone at Brigham’s was always peppermint stick with chocolate jimmies. 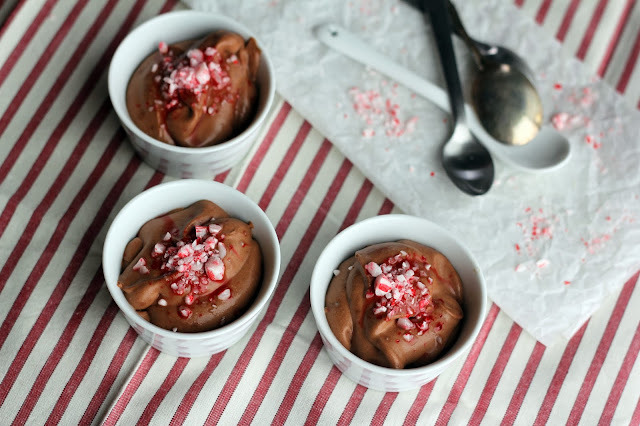 But in December they are especially tempting flavors, which led to this mousse. Coconut cream has been my go-to dessert topping for some time. It whips up light and creamy, and (like many things!) when chocolate is added it becomes sensational. 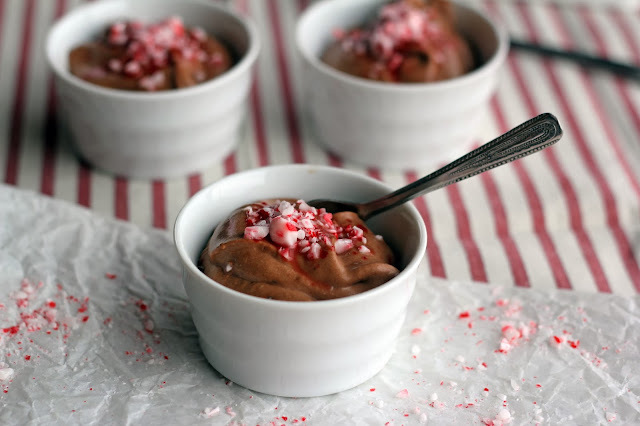 With peppermint on my mind, I blitzed some candy canes in the food processor, added chilled coconut cream, cocoa powder and maple syrup and gave them a whirl. What emerged was billowy and downright decadent. This mousse also happens to be vegan, raw and gluten-free and would be especially nice as part of a holiday dessert buffet. Luscious and rich, with creamy chocolate and little hits of refreshing mint, it’s deeply satisfying and so easy to make. I spooned it into tiny bowls with a sprinkle of crushed candy cane and then dove in. Wishing you all a warm, happy Christmas! 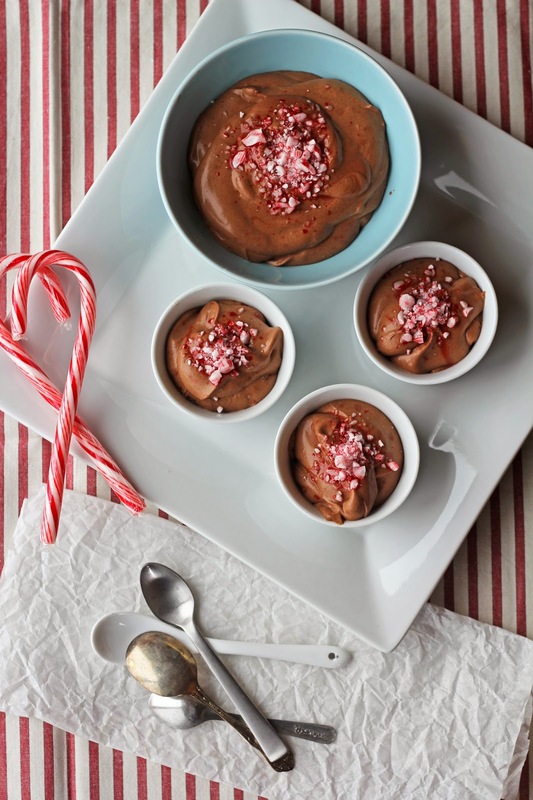 Break two of the candy canes into smaller pieces and place in the bowl of a food processor. Blitz the candy canes until they form a fine powder. Dump the peppermint powder into a small bowl and set aside. Break the remaining candy cane into pieces and pulse it in the food processor a few times until smaller rough pieces form (this is for garnish). Dump this into another small bowl and set aside. Open the can of chilled coconut cream and scrape it into the bowl of the food processor (no need to clean after the candy canes). If using coconut milk, open the 2 cans and carefully scoop out the solid coconut cream from each into the food processor. Reserve the clear liquid to use in smoothies. Add the remaining ingredients and whiz until smooth and creamy. Stop a couple of times to scrape down the sides and make sure any chunks of coconut are blended. Sprinkle in the powdered candy canes and pulse a few times to mix in. Spoon the mousse into small bowls. It can be eaten right away or kept covered in the fridge overnight. 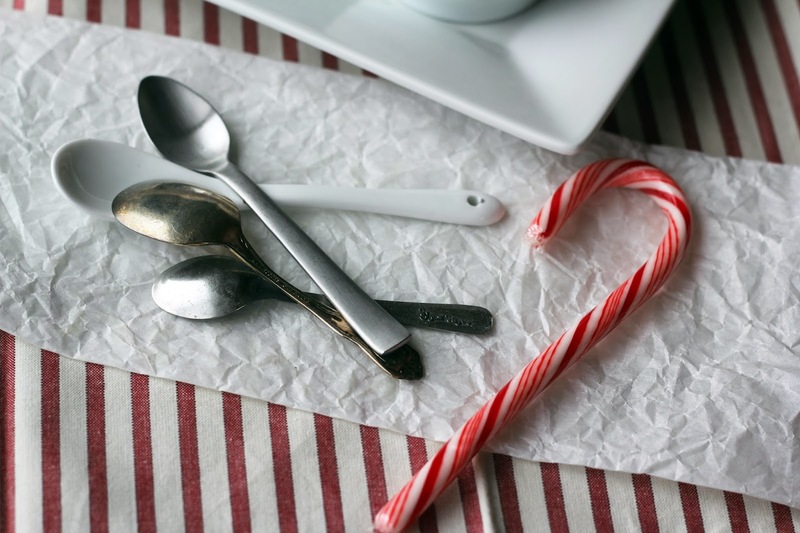 When ready to eat, sprinkle with the crushed candy cane pieces to garnish (if you do this too early the candy canes start to soften and cause red streaks). What a fun dessert! So nice you are all together for the holidays - enjoy it! Thanks, Alyssa! We enjoyed a marvelous holiday time together. Hope you did, too! Such a delicious dessert, I too love using coconut cream as a topping and in the dessert too! This is wonderful, chocolate and mint are so perfect together. I am so happy you are all together for the holidays, Happy Holidays to you and your family Hannah! Thank you, Suzanne! I hope your holidays were happy and delicious! I'm so glad you love coconut cream, too...such a decadent treat. Lovely dessert! I love chocolate and mint. Happy holidays! Thank you, Lynda! I hope you enjoyed a wonderful holiday season (and got to indulge in some chocolate and mint, too). This looks wonderful! I love peppermint, and who can resist it with chocolate? This looks incredibly decadent - just what I like! ;-) I hope you have a wonderful holiday season! Thank you, John! I hope your holidays were happy and full of delicious cooking. Thank you, Karen! Having the family together for a few weeks was truly wonderful. I hope you had a very happy holiday season! Thank you, Christopher! I hope you enjoy the mousse. Have a wonderful birthday celebration! I'm happy you stopped by.